People write to me all the time with the problems that they are having beating the micros online or small stakes live cash games. So I get to see firsthand what is holding them back at these stakes. Often it is just small stuff that can easily be fixed like bet sizing or calling too many 3Bets. But sometimes it is also more fundamental stuff like poor starting hand selection, missing key value bets or tilt. Finding and fixing these problems may require a more determined effort away from the tables. 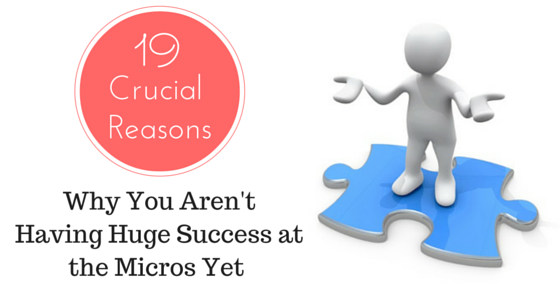 In this article I am going to list the top 19 things that prevent people from having big success at the micros. I will also suggest ways to fix them. Hopefully this will help you make some adjustments in your games and start crushing! Let's get started. I have seen this issue time and time again especially in the past when I used to coach. Out of nowhere they are involved in a huge pot with a hand like J9 for no valid reason. For some equally unknown reason tons of money got put in the middle on the flop and turn. Now on the river they managed to hit their top pair and they are facing a bet for the rest of their stack. As I talked about in my "Biggest Key to My Success" post a while back I have been able to post massive winrates in these games by simply avoiding these types of situations altogether. Usually I will just fold preflop. If I get involved though I am not going to play a massive pot with a hand like this. I will try to keep the pot small and get to showdown. If that is not possible then I will fold. You do not have to fight for every pot and every little edge at NL2 and NL5 in particular. Keep things simple at these stakes and focus your attention on the big edges instead. It is important that you keep your calling range tight from the blinds in particular especially at the lowest stakes. In fact I often advocate simply 3Betting or folding in the large majority of situations. The reason why is that no matter how you cut it playing poker when out of position will always put you at a massive disadvantage. You will never win nearly as much with your good hands and you will lose more than you should with your 2nd best hands. So to go along with point #2 you should conversely be playing a ton of hands when you do have position. This is because playing in position is wildly profitable. In Crushing the Microstakes I suggest playing 3x as many hands from the button as from UTG or the blinds. I still think this is a good baseline minimum. You can honestly get away with even more than this at the lowest stakes. Simply put, most people drastically under-estimate the value of position in poker. Go into your Hold'em Manager or PokerTracker and see for yourself how drastically your winrate is affected by position. There is certainly a time and a place to "balance your range" at higher limits by playing a few more hands out of position. But at the lowest stakes you are much better served to keep it tight in these situations and abuse position as much as possible. Another issue that holds people back is flatting too much preflop in position with speculative hands. It seems like a good idea on the surface. After all, you have position, you have a suited connector type hand and maybe you can win a big pot by hitting something big. But the problem is that you rarely hit something big. Much more often you flop nothing at all. Or even worse, you make a pair and end up hopelessly calling down when you really only beat a bluff. The biggest reason why I do not suggest flatting with a wide range in position at the lowest stakes is because people at these limits are not very good postflop yet. This is not a knock, it is just the truth. Learning how to take pots away and make thin value bets and thin value calls on the later streets is one of the hardest things to learn in this game. It takes years for most people. Most people playing at these stakes are relatively new to the game and do not have a real plan or any real confidence in their abilities when they flat with these hands preflop. Therefore, it is better to just fold some of these hands for now. Something else that newer players do which gets them in trouble is calling too much postflop. I remember reading the famous book "The Theory of Poker" many, many years ago and in it David Sklansky suggests that you should only be calling about 10% of the time postflop (if memory serves me correct). Now keep in mind that this book is about Limit Hold'em and it was also written before online poker even existed. However, this extreme bias towards raising or folding postflop was always something that stuck with me. I don't want to lay out any specific numbers because I don't know for sure what they would be, but I do think that the best strategy in low stakes NLHE cash games today is still largely to raise or fold. Again, the biggest problem here isn't even the act of calling itself. I want to make that crystal clear because somebody always seems to want to take me to task for this statement. The problem is with calling for no specific reason and without a plan. Most newer players cannot tell you why they are calling or what the plan is in many situations. Therefore, they often end up folding to further aggression later on or simply losing at showdown. This is obviously not a winning strategy. And that is why I advise that for now, when in doubt, raise or fold the large majority of the time. This isn't a problem for that many people anymore. In fact, ironically it is the opposite (not playing enough hands) which is a bigger problem for many newer players today. However, not playing enough hands will never hurt your winrate nearly as much as playing too many hands will. I often suggest a benchmark of 15% for full ring and 20% for 6max. I think you should aim for these numbers. If you find yourself significantly above them then it is likely going to harm your winrate in a big way. If this is you, find out what the bottom part of your starting hand range is and start removing some of those hands. Cutting out marginal hands from EP or the blinds is also a great place to start. Again, this probably isn't the biggest issue anymore but it is still a concern for some. Big hands are hard to come by in this game and it is absolutely crucial for your winrate to get the max value out of the bad players. As I discuss at length in my first book I virtually never slowplay versus these types of players. Instead I often just blast the pot button or even overbet versus the fish with my big hands. I had somebody ask me today on Twitter if I still advise this in 2018 (you can follow me here by the way). Yes, and I will advise it in 2020 and 2030 as well. You know why? Because fish don't change. They play the game for fun and they live for the big call. If you have been getting involved in a lot of pots with them and trying to tilt them as I always suggest, then you are simply leaving money on the table by not blasting the pot when you finally make a big hand. When in doubt make the value bet versus the recreational players and make it big. This one took me literally years to learn and it still tilts me to no end when I screw it up today. At the lowest stakes these days there are many mass multi-tabling nits sitting around waiting for the nuts. They will look something like 11/9 in full ring or 17/15 in 6max on your HUD. That is VPIP and PFR. When they start getting involved in a big pot with you especially on the later streets (turn and river) it is because they have a big hand. These players are on far too many other tables to suddenly be picking on you out of the blue. They generally have no creativity in their game anyways. You need to learn to make big folds in these spots even with hands as strong as top pair top kicker and overpairs. If you are a true expert then you can even profitably make the ninja fold with two pair. Don't donate to the nits. They waited all day to hit their set against your AA. Now fold and laugh at them. How do you know who is a nit? By using a HUD (heads up display). As I have discussed many times on this blog and elsewhere I think that anyone who is serious about online poker should be using a HUD these days. 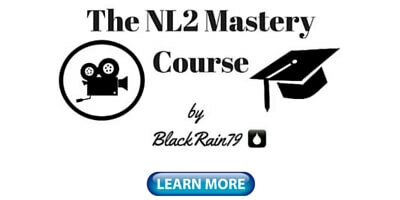 If you are just starting out at NL2 then I wouldn't worry about it too much for now. But once you get some experience online and start moving up the stakes it is a must. Here is my comprehensive guide on how to set up your HUD for when that is the case for you. Regs (which is short for regulars) are the people who you see at the tables every day. They take the game fairly seriously and they don't make the massive mistakes that the fish make. I don't care if you are Phil Ivey himself, you aren't going to crush a game full of regs. 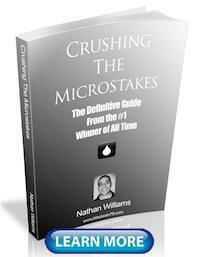 If having huge success at the micros is your goal then you must make table selection your job in today's games. 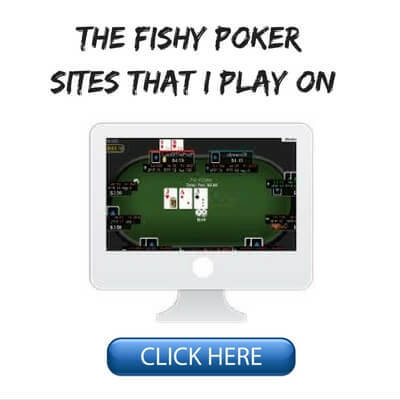 This means that you stop playing Zoom poker and focus on finding the fish, tagging the fish, chasing them around, playing at the right times and even poker site selecting. I have also written a comprehensive article on this topic which you can find here. Only in poker is the act of quitting actually a good thing. Something that a lot of newer poker players struggle with is chasing losses when they are having a bad day at the tables. They may end up extending their session much longer than planned or even worse, jumping stakes and blowing a lot more. The biggest problem with this is that you end up playing huge amounts of volume when you are playing at your worst. You lack confidence, you fear the worst at every corner, you are in a sour mood and on and on. It makes a lot more sense to put in more volume when you are running good and things are going your way. You will be much more confident in your abilities and make better decisions. This is just one reason why I suggest not even looking at your bankroll at all during a session. Just focus on making good decisions. You owe it to yourself to put in your best effort at the tables. 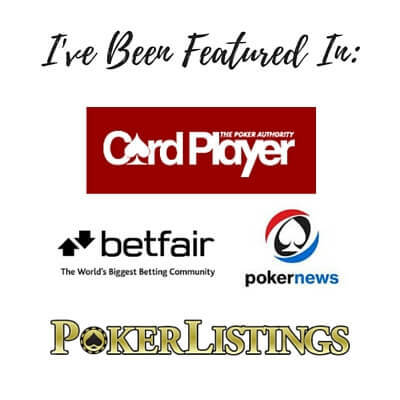 With the massive growth in poker educational materials in recent years such as video training sites, books, coaching and forums people are over analyzing everything to death even at the smallest stakes. In fact, some people spend so much time studying the game, discussing the game and watching the game that they barely even get around to playing it anymore! 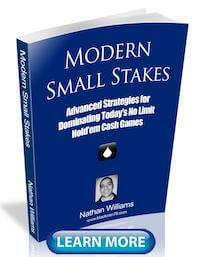 Big success at the lowest stakes does not require any in depth strategy. You don't need to balance anything, GTO anything or SPR anything. What you need to do is sit down at the tables (which have fish on them) on a regular basis and play a solid but simple tight and aggressive strategy. Save all of the fancy stuff for higher limits against actual thinking opponents. For now, just focus on the basics and you will do just fine. Calling too many 3Bets especially when out of position is a big problem still for many newer poker players. Again, a lot of what this comes back to isn't the act of calling itself. The problem is the act of calling without a clear plan of how you are going to win the pot when most of the time you will flop something very marginal or nothing at all. This is why I also recommend a pretty tight 3Bet calling range for newer players at the lowest stakes: Something like 88+ and AQ+ give or take depending on the situation and full ring or 6max. When in doubt (and especially when out of position) just fold or sometimes 4Bet if you have clear reasons why it will be effective. Keep your life simple. Remember that you don't need to balance anything or protect any image at these stakes. Believe me, they aren't paying attention. It used to be the opposite. People did not follow up on the turn enough. These days people will find any reason to fire the old double barrel though. And often this is a mistake against bad players who like to call a lot. It can be a really good idea to refer to the WTSD% (went to showdown) stat in turn and river situations. Many nits with a WTSD in the low 20's will indeed fold their draw, mid pair or maybe even top pair if you can fire again. However many more calling stations (both fish and regs) at these stakes with a WTSD in the high 20's will put on their sheriff's hat and call you down. Check back turns more often at the lowest stakes with your draws and air against these types of players. You are just burning money by trying to bluff them off of their hand. A lot of newer players make the mistake of making their preflop raises too small whether it is an opening raise or a 3Bet. If you are in a loose passive game like you often find at the lowest limits online or live then this can be a big mistake. You want to make sure that you are making people pay to get involved with you especially when you are out of position. It isn't that you want to prevent action, you just want them to know that getting involved in pots with you will not be cheap. At the very lowest limits I would suggest making your preflop opens 3x at minimum and don't be afraid to make it 4x or even more if the game is playing really loose. With regards to 3Bets make sure that they are always at least 3x the opening raise when you are in position. When you are out of position 3.5x the opening raise at minimum. Many people (especially if they come from a tournament background) have postflop bet sizing issues in their game as well. The problem is almost always once again that they bet too small, not too big. Small bets of as little as 30% of the pot can make sense in many situations in a tournament because the stacks are often shallow and there is no ability to reload. This is not the case in cash games though. The stacks are typically much deeper and there is no threat of being knocked out if your stack gets too low, you just reload. This is why it is important to bet bigger for value in cash games and give people more of a reason to fold. I don't think that there is any situation where you should ever be betting less than 50% of the pot and often 2/3 or 3/4 is the way to go. I get emails all the time from people who followed my advice for 2 days and had huge success. I am a God of poker in their eyes and they are thinking about naming their first child after me. Then I get emails from some other people who also followed my advice for 2 days and they lost big. I have no business teaching the game in their eyes. I am terrible at poker and they hate my guts. Both of these sets of people are making the mistake of making a huge deal over the short run in poker. The truth is that in 2 days (or even 2 weeks) it is very unlikely that you can play enough poker to get a good indication of your actual long term results. One of the biggest reasons why there are only about 5% of people in this game that actually win really big in the long run is because they are the only ones who really "get it." What they get is that the short run is just one big giant illusion. 95% of people either lose their minds when things don't go their way over a meaningless sample or they are on cloud nine if they hit a heater. Elite players could care less either way. It's all the same. The long run is the only thing that actually matters. And the long run can unfortunately be very, very long sometimes. Another reason why some people are not having big time success at the micros is because they don't step outside of their comfort zone and take shots at higher limits enough. Now I am the first person to raise my hand of being guilty here. But also, as I have mentioned before, it is your poker career and you can do what you want. However, nobody is getting rich playing NL5. If you want to make a significant side income (or even a full time one) then you are going to have to move up. As I talked about in last week's post, the best way to do this is to have a clear plan for when to move up and when to move down. This doesn't happen nearly as often these days as playing too low but it is still an issue with some. This happens specifically with people who come from a live background who are moving over to online. As I talked about in a recent article for Pokernews the games online are generally a lot tougher even when there is much less money involved. Just because you can beat $1/$2 NL in the casino does not mean that you should play the equivalent stake online. $1/$2 online is actually a very tough game these days mostly played by full time professionals. If you have played at a particular limit online for quite awhile and are still not winning it is a good idea to step down for awhile and see if things improve. There is no shame in working your way up from the lowest limits. 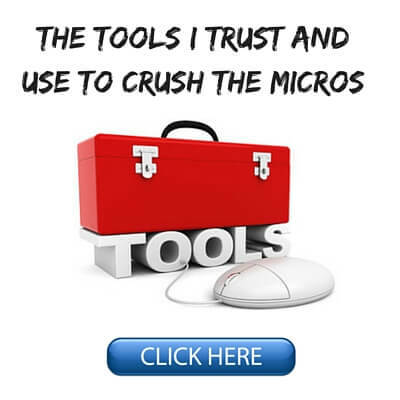 I hope that this article provided some food for thought regarding some common issues that people face at the micros online and low stakes live. These games might not be the absolute free money fest that they were 5 or 10 years ago but they are still very beatable with the right strategy and mental approach. Let me know your thoughts below. Is there anything that you would add to the list above? Spot on as ever Nathan. Cheers. Thank you Bryson, glad it helped! Hey Blackrain79, I am a fan of yours and I've already bought Crush The Microstakes a few months ago, unfortunately in Portugal we can't play just yet, but soon it will be possible. I'd like to know how to get that free copy of massive profit at the micros. Is that supposed to come with the purchase of Crush The Microstakes or am I supposed to do anything else? 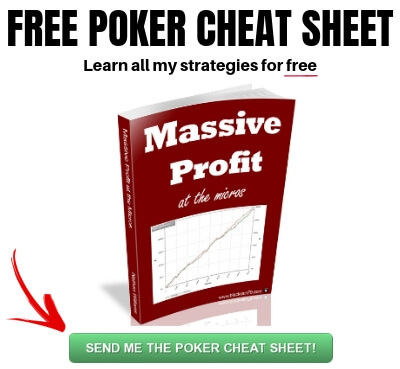 Massive Profit is a free little guide that I released a few months back for new newsletter subscribers or those who are already subscribers and email me. You can just send me an email at blackrain79@dragthebar.com or join the newsletter and receive it right away. Hello Nathan, great work. I have a doubt. I am playing Nl2 6-max and trying to follow your advice. The problem is that, in the loose tables where I've been playing, I am not playing enough hands (17/14), because I rarely have the chance to open the pot. I often find myself openning hands from EP that I shouldnt because of that. My sample is 100k hands, and I am winning (6 bb/100), but not crushing the games. Is there a way to get around that issue? Thanks. Well first off, good job on the success. You are clearly doing plenty of stuff right already. Secondly, it isn't a huge deal that you are 17/14. I don't mean to make it sound like you have to play more hands or it's terrible. At NL2 this is just fine and even all the way up the micros. If you want to try and open up more though EP is not the place to do it. If you find that you can't open because somebody else already has then it would be a better idea to start 3Betting in position. To be honest though I would have a look at what tables you are at because this is never an issue that I see when I play these games. It's just a bunch of nitty regs and a fish or two limping a bunch who I just isolate. solid post, Nathan. good to be reminded that it's a simple game at the lowest limits. Very fine tips! Nathan... I published on my facebook and twitter accounts. Thanksful! Thanks Jesus and thanks for the shares also! Some timely reminders in this article. Hi Nathan! Thank you for this amazing post! I'm playing right now at NL2, I'm still on the shortrun (5k hands) but been doing pretty amazing (18bb/100). Do you know something about Jivaro? It's a new HUD that offers a free service and shows three stats: VPIP, PFR and AFq. 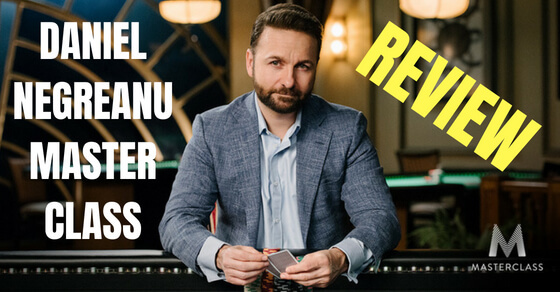 The premium service cost 6 dollars a month, and have a lot more stats (3bet, F3bet, Cbet, Fcbet, etc) I actually don't have money for HEM or Pokertracker, so do you think it's a good idea to buy the premium service of Jivaro? Or do you think that for NL2 or NL5 it's ok to just have VPIP, PFR and AF? Thanks for an advice dude! Good work so far at the tables! I have never heard of Jivaro before so I don't really want to comment on it too much. However, if they provide those 3 stats as a free service then that might be a good option for newer players who don't want to invest in HEM or PT yet. I will probably check it out when I get some time! This is a really good post. One of the best one's I've read to date I think. A Fantastic post!! Thanks for taking the time!! I am guilty of over studying so you inspire me to just play more. And you always nicely edit your articles. Thanks Chris! And thank you for the compliments about my books as well. Seeing as how the micro FR tables at Stars are infested with regs, can you talk about your table distribution in a normal session? Still mostly do 24 tables? What's the distribution of tables on Stars and on other sites? FR vs. 6-max? I typically play 8-12 tables at the max now with a heavy emphasis on table selection and seat selection. More on that in this article. Yup, read that. Bought both "Crushing"s as well. Just wanted to know if you're mixing and matching 6 max/FR and PS/other site (mostly on PS nowadays or not?). Thanks Stormace! I have Facebook and Twitter like buttons at the bottom of each post.